Building a decent sports website will hardly be a walk in the park especially for users who do not have any coding and web designing skills. On the other hand, modern website builders make it easy to create a sports team or league web resource from scratch within a couple of hours. It will contain a pack of essential features that let you handle strategic issues. Website builders are designed to put an ease on the creation process. They narrowed required actions to simply slapping the domain name together with the template in addition to intuitive and user-friendly editing tools. All you need is to define fundamental things your resource is supposed to accomplish. Whether you create a fan page for a sports team or need to come up with an extended website for a bigger sports community featuring standings, videos, latest stats and news, website builders deliver a set of functions that will let you bring a future resource to life. They help to improve team’s online presences as well as create a recognizable and catchy sports media page. We have conducted a detailed survey to identify the best website builders for different purposes. With so many platforms available today, choosing the right tool may look daunting especially for newbies. Our research is aimed at defining the core advantages of described builders, so you could easily pick the best bet. Why Opt for Website Builders? Web building platforms make it simple not only to create mobile-friendly sports websites but also to easily create and add content, customize each page, deliver a delightful look on both desktop and mobile devices. Website builders like Wix and uKit have blogging features in addition to widgets for schedules, registration activities, social sharing and other fundamental issues necessary for developing a website and establishing stronger representation on the web. Customer Support – newbies can easily handle the task considering 24/7 available support team in addition to a huge knowledge base, video tutorials, guides and FAQ sections. Summing up, website builders make it simple to build a beautiful web resource for organizations and teams. Customized and mobile-friendly design will reach a broader target audience while simple editing tools let you update pages and actual information with just several clocks. Also, consider lower prices if compared with hiring a development team. Of course, a free Wix plan is hardly enough for a solid web resource that contains numerous media files, it still gives the understanding of how the platform works. On the other hand, uKit offers free trials to pick up some editing skills right at once. How to Choose A Website Builder for Sports team or League Site? The global web brings plenty of website builders for different purposes. Choosing the right one may look challenging. For this reason, you need to define the core features and functionality of your future web resource. Then it will be easier to choose a matching platform that has tools you need. What features should a Sports Website Have? Contacts – once you gain recognition and solid web representation, most of your visitors would probably try to keep in touch with you. Make sure you provide actual contact information in an already built-in contact section of your template. Apart from core functions, you need to ensure your website growth on the web. Luckily, website builders offer simple SEO and other tools to increase your site search engine ranking. Social Sharing – social networks are the good source of extra traffic. Website builders offer social sharing buttons and widgets to let your visitors easily share the content via most popular social platforms. 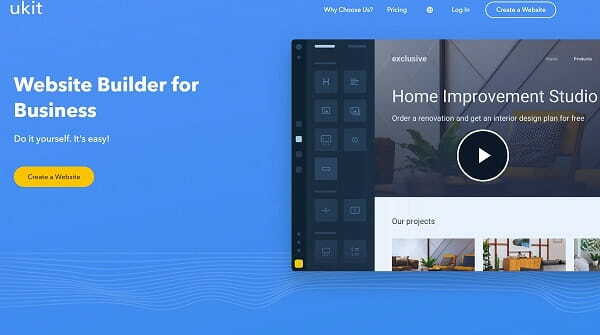 After you define the core features of your future website, you will easily pick the right website builder to handle any of the above-mentioned issues. Or you can keep on reading and choose from the reviewed platforms. Wix seems to be a good choice for sports websites of different types. The platform is equally good for small team fan pages as well as for more complicated league portals, forums, etc. 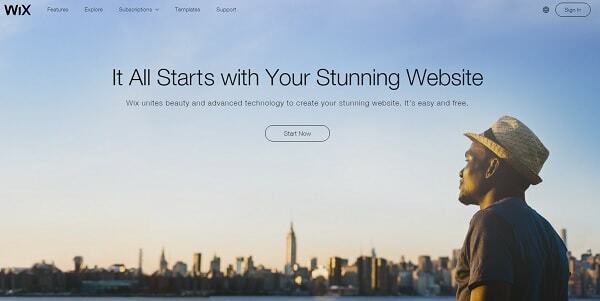 Wix lets you build any web resource no matter how complicated it may seem. Widget Store – Wix has its own app and widget sore where you can choose add-ons for schedules, stats, event calendars, social sharing and more. See also: Wix website builder review. Affordable Price – the price range from $4 to $12 per month. You get a free template and hosting. Looks much more affordable if compared with custom development services. See also: uKit website builder review. With so many web building platforms available today, Wix and uKit seem to be reasonable and cost-effective tools to build a sports team or league website. Apart from affordable prices if compared with hiring a custom development team, both builders deliver a set of functions and tools to edit, update and customize content with pages. While Wix comes as a multi-purpose platform with advanced SEO and e-commerce tools, to build any sports website from club page to fan shop, uKit has proved to be a simple web-building platform for less complicated resources. Make sure you stress the core goals and features of your future website to select the right-matching platform.